Soul long since gone, it doesn’t take much to send the undead to the realm of simply being dead. No silver bullet, no wooden stake to the heart. Any old weapon will work on a rotting zombie corpse. What set off this zombie epidemic? Why, that would be the exponential rise of the Mathematical Plague! 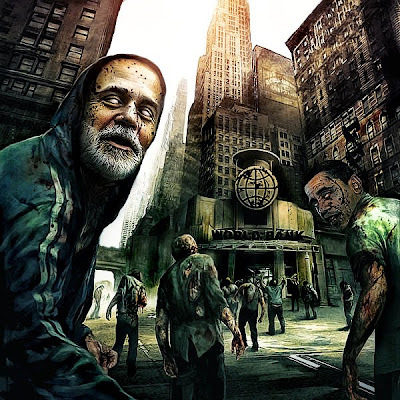 You can see the zombies in our banking system if you look under their mark-up… everyone knows they are there, but few will acknowledge their zombified presence. What you may not realize is that there are even mathematical zombies living amongst you in your own neighborhood! That’s right, you may also be living in a city that is a mathematical zombie, and the odds are that you are living in a state that is a mathematical zombie as well. Most importantly, whether you realize it or not, if you are a U.S. taxpaying citizen, you have already been touched by the plague and are infected yourself! Yes, we are all now living in a mathematical Zombie Nation! Ahhhh! Ha! You don’t think it’s gotten you yet, do you? Zombies are always the last to realize they have transitioned to the realm of the undead! Just wait until you see the math, YOUR math. You have the plague, we all have the plague. This zombie story and the rise of the Mathematical Plague begins in the year 1910 when on the evening of November 22, 1910, men representing one quarter of the worlds’ banking interests met on Jekyll Island to produce in one week what would become the guts of the current Federal Reserve Act. This meeting was attended by; Sen. Aldrich, A.P. Andrews (Assistant Secretary of the Treasury Department), Paul Warburg (a naturalized German representing Kuhn, Loeb & Co.), Frank A. Vanderlip (president of the National City Bank of New York), Henry P. Davison (senior partner of J. P. Morgan Company), Charles D. Norton (president of the Morgan-dominated First National Bank of New York), and Benjamin Strong (representing J. P. Morgan). Then, taking advantage of a technicality in which Congress failed to close their session as required when leaving for Christmas recess, the Federal Reserve Act was then passed with very few members in attendance on behalf of those special interests. This Act set in motion the privately owned Federal Reserve system, the third federal reserve system in the United State’s history. The Federal Reserve Act authorized the establishment of a Federal Reserve Corporation, with a Board of Directors (The Federal Reserve Board) to run it. The United States was divided into 12 Federal Reserve Districts. The Federal Reserve banks are owned by the member banks which in turn are owned by private interests. The largest banks are by far the largest owners. There is nothing “Federal” about them besides their highly placed personnel within our government. Is there any wonder that the bailouts have focused on the banks and not the people? The system of selling debt mostly to those very bankers to finance our deficits was born and the debts have been building ever since. The money is not created by the government, it is borrowed from the private banks. That means that interest on the debt goes to them. This took the money making power from the people and from Congress and it still resides with those same private interests today. Remember, the money system is different than the banking system, two completely separate things. As the debt and interest build over time, the rate of growth begins to pick up speed and then the rate of growth in debt begins to outstrip the rate of growth in income. That is happening now and this has led to some very nasty math zombies. Anytime you hear people talk about inflation and growth rates, the hackles should stand up on the back of your zombie neck, knowing that such rates are not sustainable over time! The Good Dr. Bartlett explains the mathematical plague well (Spend some Time with the Good Dr. Bartlett…). Since the time the Federal Reserve Act was enacted, we have gone from figures in the thousands representing a lot of wealth to figures in the millions, and then to billions and now on to trillions. 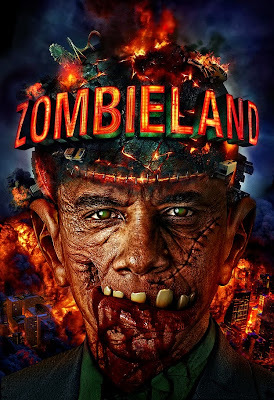 This is the end of the zombie line – no currency has ever successfully made it into the next level, the quadrillions! Also note that each successive set of three zeros came in a shorter time frame than the last. That’s an exponential rise. Dylan Ratigan - Fed Gave Banks Access to $23.7 Trillion Not $700 Billion! Access to $23.7 Trillion!? Oh my. That’s $77,198 per person in the United States! For my family of four that’s $308,792. Now, I don’t know about you, but I don’t really have that type of money just floating around in a drawer and I don’t really appreciate Uncle Sam using my money, or my future earnings, or my children’s future earnings to backstop the people doing High Frequency Trading, paying their bonuses, or using my money to artificially inflate the price of oil! No, I don’t believe the nation would have failed had we let the big banks go! In fact, I believe the exact opposite is true, that failing to let them go is going to ruin our country, and has given us the kiss of the mathematical plague! On the day that TARP rolled out, I sat down and began crunching the numbers typing out an article I then called Death by Numbers. At that time we ran through the math of debt at the personal level, the Federal level current account deficit, unfunded Federal level obligations (the most conservative number), and without even counting debts on the state and local government levels we came to an astonishing $303,053 per person in the United States, or $1,212,212 for my family of Four! Today there are 307 million people in the U.S. and about 140 million of us are workers. Get this… the amount of debt that produced those numbers is equal to $662,387 for every WORKER in the United States (currently 140 million). Looking a little zombie green in the mirror? Since that time we have tacked on another $2.3 Trillion onto the current account deficit, bringing it up to $12.3 Trillion – that’s just Federal level current debt, nothing else (doesn’t include trillions poured into the GSEs and other programs as Ratigan points out). And now the Senate has voted to raise the debt ceiling by another $1.9 Trillion, bringing the expected current account debt by the end of 2010 up to $14.3 Trillion! That $1.9 Trillion represents $6,188 for every worker in America, just for the federal level DEBT added on just this year, a year in which the government will only take in $2.2 Trillion! Next year? The Administration just released their $3.8 Trillion Budget, another $1.6 Trillion shortfall, and that is WITH the passing of Cap and Trade to generate billions in new tax dollars. See the progression of bad math fellow zombies? By the end of 2011, each man, woman, and newborn child will be responsible to service $321,283 in debt. Each worker in the United States will be responsible to service $704,530! For the four working members of my family, that is an obligation of more than $2.8 million. Just the interest on $704,530 at 5%, JUST THE INTEREST, is $35,266 per year! That’s getting up towards what an average worker earns, just for the interest, no principle included! Is that skin I see sloughing off your face? But wait, as they say on the infomercial, there’s more! That figure doesn’t include debt on the state level. A site called Illinois is broke shows that each residence in the state of Illinois is indebted by the state for $25,000 per person! Remember, these are the same people who already owe $321,283 each! True, Illinois is at the high end, but we still haven’t talked about debt hiding out in the GSEs, at the Treasury, and at the many layers of local government. That’s right fellow working American. You, too, by the end of 2011 are responsible for at least $704,530! And that’s using the most conservative numbers for future obligations! Think the average family with two workers and two children can support more than $2 million in debts? I don’t. The math is clearly not sustainable and that’s exactly why the current monetary system is going to change. Until that time, we’re all zombies. Best get on it now because later we might find out that Lady Liberty’s skipped town and is no longer there! The Zombies – She’s Not There! SwarmUSA.com Open House – Now through Sunday!